MANILA, Philippines – Amanpulo, the ultra-exclusive resort located in Pamalican Island in the Sulu Sea, has once again made it to Condé Nast Traveller’s list of Top 100 resorts, hotels and spas in the Readers’ Travel Awards 2013. The resort was cited among the Top 20 in the Asia & India category, with a numeric rating of 77.88 over 100. 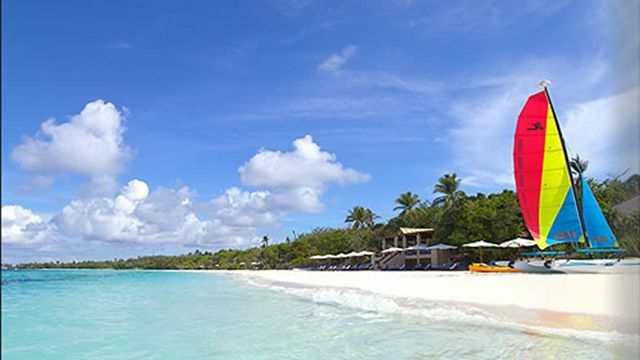 Amanpulo is the only Philippine resort to make it to this year’s Top 100. Condé Nast Traveller is one of the world’s leading travel publications, known for its independence and integrity in reviewing travel and hospitality establishments. The poll for the 2013 Readers’ Travel Awards was participated in by 80,000 jetsetters, who cumulatively cast over 1.3 million votes. This is an excerpt only. Read the full post on Rappler.com.